After preparing this paper it is evident that a large proportion of workplaces and public buildings do not fully consider the needs of people of all abilities within emergency management plans. 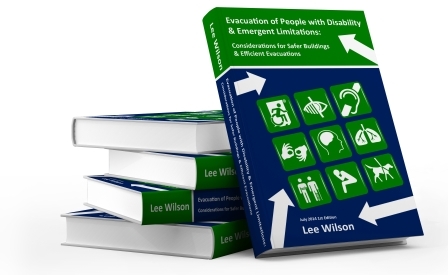 There is an obvious demand to provide greater guidance to industry and the disability sector to protect the safety of those persons with a disability, the elderly, the very young or anyone else who may not respond in an optimum manner during an emergency event in their workplace or when visiting a public building. The provision of suitable emergency exit signage and information is one important initiative to help solve these issues. It has already been suggested that current BCA exit sign provisions should be amended to include signage to identify the accessible means of egress. However, in the interim, the use of a performance-based solution can be adopted to address this requirement. To achieve this we also need to develop strategies to improve social and attitudinal factors in terms of an inclusive approach to accessible means of egress. These strategies must also consider the use of refuge areas, wheelchair spaces in each refuge, evacuation lifts and evacuation chairs. Furthermore, this thought process must extend to providing a clear, unambiguous approach to emergency and exit signage for these parts of the accessible means of egress, as well as accessible exits, exit doors, including directional signage. By considering the needs of all occupants and providing signage that identifies all components of an accessible means of egress we will undoubtedly provide safer buildings which are more inclusive for everyone. This adds a level of complexity to the design of some buildings, but no more so that other areas of the building industry that currently use innovative materials, technologies and construction methods to add value to the construction project and provide a better, safer and more usable environment during the life of a building. 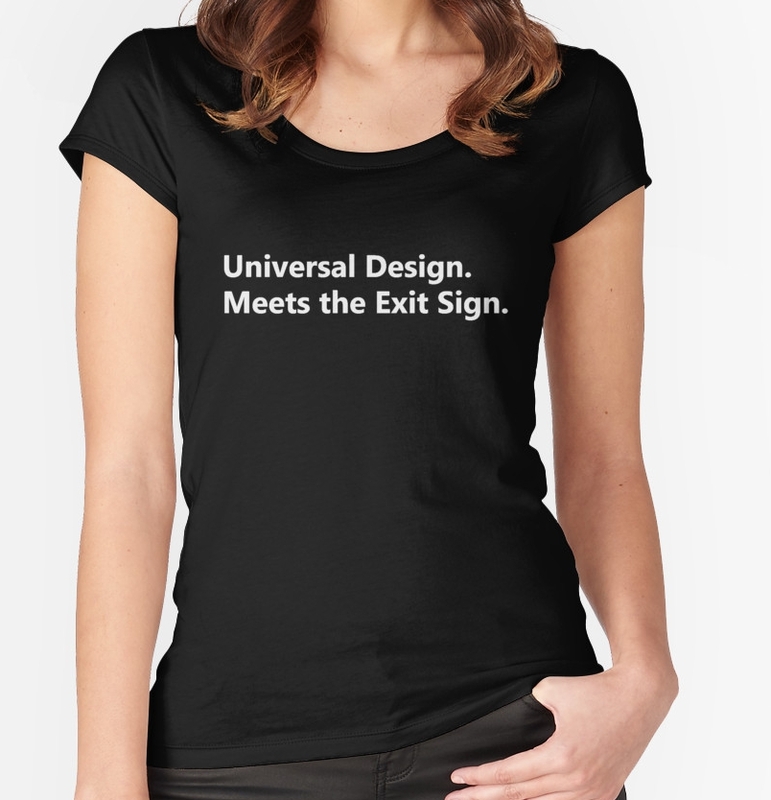 In some cases, the use of the Universal Design Meets the Exit Sign concept for exit signs in a building will actually add no cost to the project, no additional maintenance and no increase to the operating costs of a building – it is simply a different pictorial element on an exit sign, but one that sends a key message to people and provides certainty as to how to get out a building.